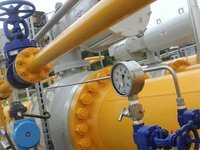 Ukrainian gas traders have begun preparing for testing gas exports to Central Europe after the approval by the National Commission for Energy, Housing and Utilities Services Regulation (NCER) of the temporary tariffs of Ukrtransgaz for the transportation of natural gas for entry and exit points. According to the report of the ICIS international analytical agency, which refers to its source, several Ukrainian companies, whose names are not specified, plan to examine the readiness of the Ukrainian gas transmission operator Ukrtransgaz and customs regimes for new types of operations on exports to Hungary and Slovakia. According to ICIS, currently Ukrtransgaz is also negotiating with the Gaz-System operator of the Polish GTS on obtaining permit for gas transit at the Hermanowice border checkpoint. In addition, Ukrainian gas companies could export gas to Romania, in case of the construction of a new interconnector. In connection with reduced tariffs for gas transportation, Ukrtransgaz is also studying the ways to provide services for European gas pumping and storage companies in Ukrainian underground storage facilities.